These products suit the Nissan Pathfinder R50 models. Daihatsu Front Springs DAI-03- this price is for a pair of front springs. EFS Springs are made from high quality spring steel and provides the driver a more comfortable ride on road, along with increased control and ground clearance off road. Includes 3 year/100,000km warranty. To check the super discounted online price and Australia wide delivery options, please call us during business hours on (02) 6024 1464 or email us here. Daihatsu Front Springs DAI-05- this price is for a pair of front springs. EFS Springs are made from high quality spring steel and provides the driver a more comfortable ride on road, along with increased control and ground clearance off road. Includes 3 year/100,000km warranty. Front Shackle Pins GR470 - this price is for a pair of pins. To check the super discounted online price and Australia wide delivery options, please call us during business hours on (02) 6024 1464 or email us here. Front U Bolt Kit C654 - kit contains 2 ubolts for right hand side. To check the super discounted online price and Australia wide delivery options, please call us during business hours on (02) 6024 1464 or email us here. Front U Bolt Kit C655 - kit contains 2 ubolts for left hand side. To check the super discounted online price and Australia wide delivery options, please call us during business hours on (02) 6024 1464 or email us here. Front Shackles GR656 - this price is for a pair of shackles. To check the super discounted online price and Australia wide delivery options, please call us during business hours on (02) 6024 1464 or email us here. Toyota Rear U Bolt Kit C453-2 - kit contains 2 ubolts for LHS. To check the super discounted online price and Australia wide delivery options, please call us during business hours on (02) 6024 1464 or email us here. Toyota Front U Bolt Kit C449-3 - kit contains 2 ubolts for RHS. To check the super discounted online price and Australia wide delivery options, please call us during business hours on (02) 6024 1464 or email us here. Toyota Front Pins - this price is for a pair of pins. To check the super discounted online price and Australia wide delivery options, please call us during business hours on (02) 6024 1464 or email us here. Toyota Rear Pins - this price is for a pair of pins. To check the super discounted online price and Australia wide delivery options, please call us during business hours on (02) 6024 1464 or email us here. EFS Rear Bushes UK719 - this price is for a pair of rear bushes. Our premium quality polyurethane bush kits are extremely resistant to abrasion, low compression set high tear strength and resistant to oils and solvents. To check the super discounted online price and Australia wide delivery options, please call us during business hours on (02) 6024 1464 or email us here. EFS Front Bushes UK718 - this price is for a pair of front bushes. Our premium quality polyurethane bush kits are extremely resistant to abrasion, low compression set high tear strength and resistant to oils and solvents. To check the super discounted online price and Australia wide delivery options, please call us during business hours on (02) 6024 1464 or email us here. EFS Rear Bushes UK733 - this price is for a pair of rear bushes. Our premium quality polyurethane bush kits are extremely resistant to abrasion, low compression set high tear strength and resistant to oils and solvents. 80 Duro high quality elastomer with a 1 year/20000kms warranty. This kit includes bushes for the fixed end as well as upper and lower shackles. Shackles GR666 - this price is for a pair of shackles. To check the super discounted online price and Australia wide delivery options, please call us during business hours on (02) 6024 1464 or email us here. Rear Shackles GR388 - this price is for a pair of shackles. To check the super discounted online price and Australia wide delivery options, please call us during business hours on (02) 6024 1464 or email us here. Toyota Rear U Bolt Kit - kit contains 4 ubolts. To check the super discounted online price and Australia wide delivery options, please call us during business hours on (02) 6024 1464 or email us here. Rear U Bolt Kit C453-3 - kit contains 4 ubolts. To check the super discounted online price and Australia wide delivery options, please call us during business hours on (02) 6024 1464 or email us here. Toyota Front U Bolt Kit - kit contains 4 ubolts. To check the super discounted online price and Australia wide delivery options, please call us during business hours on (02) 6024 1464 or email us here. EFS Rear Bushes UK720 - this price is for a pair of rear bushes. Our premium quality polyurethane bush kits are extremely resistant to abrasion, low compression set high tear strength and resistant to oils and solvents. To check the super discounted online price and Australia wide delivery options, please call us during business hours on (02) 6024 1464 or email us here. EFS Rear Bushes UK722 - this price is for a pair of rear bushes. Our premium quality polyurethane bush kits are extremely resistant to abrasion, low compression set high tear strength and resistant to oils and solvents. To check the super discounted online price and Australia wide delivery options, please call us during business hours on (02) 6024 1464 or email us here. EFS Front Bushes UK724 - this price is for a pair of rear bushes. Our premium quality polyurethane bush kits are extremely resistant to abrasion, low compression set high tear strength and resistant to oils and solvents. To check the super discounted online price and Australia wide delivery options, please call us during business hours on (02) 6024 1464 or email us here. Toyota Front Shackles UK713 - this price is for a pair of shackles. To check the super discounted online price and Australia wide delivery options, please call us during business hours on (02) 6024 1464 or email us here. Toyota Rear Shackles UK714 - this price is for a pair of shackles. To check the super discounted online price and Australia wide delivery options, please call us during business hours on (02) 6024 1464 or email us here. Rear U Bolt Kit C453-1 - kit contains 4 ubolts. To check the super discounted online price and Australia wide delivery options, please call us during business hours on (02) 6024 1464 or email us here. Toyota Front U Bolt Kit C436 - kit contains 4 ubolts. To check the super discounted online price and Australia wide delivery options, please call us during business hours on (02) 6024 1464 or email us here. Daihatsu Front U Bolt Kit C658 - kit contains 4 ubolts. Toyota Rear U Bolt Kit C416 - kit contains 4 ubolts. To check the super discounted online price and Australia wide delivery options, please call us during business hours on (02) 6024 1464 or email us here. Shackles GR665 - this price is for a pair of shackles. To check the super discounted online price and Australia wide delivery options, please call us during business hours on (02) 6024 1464 or email us here. Jeep U Bolt Kit C673 - kit contains 4 ubolts. To check the super discounted online price and Australia wide delivery options, please call us during business hours on (02) 6024 1464 or email us here. Jeep U Bolt Kit C761 - kit contains 4 ubolts. To check the super discounted online price and Australia wide delivery options, please call us during business hours on (02) 6024 1464 or email us here. Toyota Rear Shackles GR353 - this price is for a pair of shackles. To check the super discounted online price and Australia wide delivery options, please call us during business hours on (02) 6024 1464 or email us here. Toyota Front Shackles GR353 - this price is for a pair of shackles. To check the super discounted online price and Australia wide delivery options, please call us during business hours on (02) 6024 1464 or email us here. Toyota Rear Shackles - this price is for a pair of shackles. To check the super discounted online price and Australia wide delivery options, please call us during business hours on (02) 6024 1464 or email us here. Toyota Front Shackles - this price is for a pair of shackles. To check the super discounted online price and Australia wide delivery options, please call us during business hours on (02) 6024 1464 or email us here. 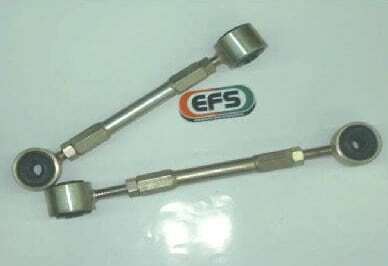 EFS Torque Rod 10-1018 - Adjustable diff locator (torque rod). Buy one for 3-125mm lift. Eliminates undue pre-load on right-hand side front spring. Bolts to original mounts. Maximizes travel! Free Australia-wide delivery. To check the super discounted online price and Australia wide delivery options, please call us during business hours on (02) 6024 1464 or email us here. U Bolt Kit C671 - kit contains 4 ubolts. To check the super discounted online price and Australia wide delivery options, please call us during business hours on (02) 6024 1464 or email us here. Ford U Bolt Kit C471 - kit contains 4 ubolts. To check the super discounted online price and Australia wide delivery options, please call us during business hours on (02) 6024 1464 or email us here. U Bolt Kit C473 - kit contains 4 ubolts. To check the super discounted online price and Australia wide delivery options, please call us during business hours on (02) 6024 1464 or email us here. Rear Shackles GR795 - this price is for a pair of shackles and pins. To check the super discounted online price and Australia wide delivery options, please call us during business hours on (02) 6024 1464 or email us here. U Bolt Kit C474 - kit contains 4 ubolts. To check the super discounted online price and Australia wide delivery options, please call us during business hours on (02) 6024 1464 or email us here. U Bolt Kit C762 - kit contains 4 ubolts. To check the super discounted online price and Australia wide delivery options, please call us during business hours on (02) 6024 1464 or email us here. Rear U Bolt Kit C660 - kit contains 4 ubolts. To check the super discounted online price and Australia wide delivery options, please call us during business hours on (02) 6024 1464 or email us here. EFS Front Bushes UK704 - this price is for a pair of rear bushes. Our premium quality polyurethane bush kits are extremely resistant to abrasion, low compression set high tear strength and resistant to oils and solvents. To check the super discounted online price and Australia wide delivery options, please call us during business hours on (02) 6024 1464 or email us here. U Bolt Kit C451 - kit contains 4 ubolts. To check the super discounted online price and Australia wide delivery options, please call us during business hours on (02) 6024 1464 or email us here. EFS Front Bushes UK734 - this price is for a pair of front bushes. Our premium quality polyurethane bush kits are extremely resistant to abrasion, low compression set high tear strength and resistant to oils and solvents. To check the super discounted online price and Australia wide delivery options, please call us during business hours on (02) 6024 1464 or email us here. Toyota Rear Shackles GR387 - this price is for a pair of shackles. To check the super discounted online price and Australia wide delivery options, please call us during business hours on (02) 6024 1464 or email us here. EFS Rear Bushes UK768 - this price is for a pair of rear bushes. Our premium quality polyurethane bush kits are extremely resistant to abrasion, low compression set high tear strength and resistant to oils and solvents. To check the super discounted online price and Australia wide delivery options, please call us during business hours on (02) 6024 1464 or email us here. EFS Rear Bushes UK747 - this price is for a pair of rear bushes. Our premium quality polyurethane bush kits are extremely resistant to abrasion, low compression set high tear strength and resistant to oils and solvents. To check the super discounted online price and Australia wide delivery options, please call us during business hours on (02) 6024 1464 or email us here. EFS Front Bushes UK715 - this price is for a pair of rear bushes. Our premium quality polyurethane bush kits are extremely resistant to abrasion, low compression set high tear strength and resistant to oils and solvents. To check the super discounted online price and Australia wide delivery options, please call us during business hours on (02) 6024 1464 or email us here. Steering Damper SD4022 - Fitting a good quality steering damper will increase the control over bump steer and improve steering control for standard through to 33" tyres. To check the super discounted online price and Australia wide delivery options, please call us during business hours on (02) 6024 1464 or email us here. Toyota Steering Damper SD4023 - Fitting a good quality steering damper will increase the control over bump steer and improve steering control for standard through to 33" tyres. To check the super discounted online price and Australia wide delivery options, please call us during business hours on (02) 6024 1464 or email us here. Toyota Steering Damper SD4024 - Fitting a good quality steering damper will increase the control over bump steer and improve steering control for standard through to 33" tyres. To check the super discounted online price and Australia wide delivery options, please call us during business hours on (02) 6024 1464 or email us here. Steering Damper SD4030 - Fitting a good quality steering damper will increase the control over bump steer and improve steering control for standard through to 33" tyres. To check the super discounted online price and Australia wide delivery options, please call us during business hours on (02) 6024 1464 or email us here. Steering Damper SD4036 - Fitting a good quality steering damper will increase the control over bump steer and improve steering control for standard through to 33" tyres. To check the super discounted online price and Australia wide delivery options, please call us during business hours on (02) 6024 1464 or email us here. Toyota Steering Damper SD4033 - Fitting a good quality steering damper will increase the control over bump steer and improve steering control for standard through to 33" tyres. To check the super discounted online price and Australia wide delivery options, please call us during business hours on (02) 6024 1464 or email us here. Toyota Steering Damper SD4021 - Fitting a good quality steering damper will increase the control over bump steer and improve steering control for standard through to 33" tyres. To check the super discounted online price and Australia wide delivery options, please call us during business hours on (02) 6024 1464 or email us here. EFS Rear Bushes UK765 - this price is for a pair of rear bushes. Our premium quality polyurethane bush kits are extremely resistant to abrasion, low compression set high tear strength and resistant to oils and solvents. To check the super discounted online price and Australia wide delivery options, please call us during business hours on (02) 6024 1464 or email us here. EFS Rear Bushes UK767 - this price is for a pair of rear bushes. Our premium quality polyurethane bush kits are extremely resistant to abrasion, low compression set high tear strength and resistant to oils and solvents. To check the super discounted online price and Australia wide delivery options, please call us during business hours on (02) 6024 1464 or email us here. EFS Rear Bushes UK766 - this price is for a pair of rear bushes. Our premium quality polyurethane bush kits are extremely resistant to abrasion, low compression set high tear strength and resistant to oils and solvents. To check the super discounted online price and Australia wide delivery options, please call us during business hours on (02) 6024 1464 or email us here. EFS Rear Bushes UK764 - this price is for a pair of rear bushes. Our premium quality polyurethane bush kits are extremely resistant to abrasion, low compression set high tear strength and resistant to oils and solvents. To check the super discounted online price and Australia wide delivery options, please call us during business hours on (02) 6024 1464 or email us here. EFS Front Bushes UK711 - this price is for a pair of front bushes. Our premium quality polyurethane bush kits are extremely resistant to abrasion, low compression set high tear strength and resistant to oils and solvents. To check the super discounted online price and Australia wide delivery options, please call us during business hours on (02) 6024 1464 or email us here. EFS Rear Bushes UK710 - this price is for a pair of rear bushes. Our premium quality polyurethane bush kits are extremely resistant to abrasion, low compression set high tear strength and resistant to oils and solvents. To check the super discounted online price and Australia wide delivery options, please call us during business hours on (02) 6024 1464 or email us here. 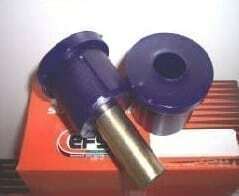 EFS Front Bushes UK707 - this price is for a pair of rear bushes. Our premium quality polyurethane bush kits are extremely resistant to abrasion, low compression set high tear strength and resistant to oils and solvents. To check the super discounted online price and Australia wide delivery options, please call us during business hours on (02) 6024 1464 or email us here. 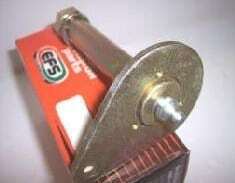 EFS Front Bushes UK728 - this price is for a pair of rear bushes. Our premium quality polyurethane bush kits are extremely resistant to abrasion, low compression set high tear strength and resistant to oils and solvents. To check the super discounted online price and Australia wide delivery options, please call us during business hours on (02) 6024 1464 or email us here. Rear Shackles GR796 - this price is for a pair of shackles and pins. To check the super discounted online price and Australia wide delivery options, please call us during business hours on (02) 6024 1464 or email us here. Ford Rear U Bolt Kit C472 - kit contains 4 ubolts. To check the super discounted online price and Australia wide delivery options, please call us during business hours on (02) 6024 1464 or email us here. Rear Shackles GR669 - this price is for a pair of shackles and pins. To check the super discounted online price and Australia wide delivery options, please call us during business hours on (02) 6024 1464 or email us here. 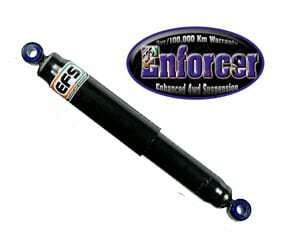 EFS ENFORCER REAR SHOCK ABSORBER 30-5483 - this price is for a pair of rear shocks. To check the super discounted online price and Australia wide delivery options, please call us during business hours on (02) 6024 1464 or email us here. Steering Damper SD4032 - Fitting a good quality steering damper will increase the control over bump steer and improve steering control for standard through to 33" tyres. To check the super discounted online price and Australia wide delivery options, please call us during business hours on (02) 6024 1464 or email us here. EFS ELITE FRONT RIGHT SHOCK ABSORBER 30-5619 - this price is for the front right shock absorber. These are the highest quality shocks for this model. EFS ELITE FRONT LEFT SHOCK ABSORBER 30-5620 - this price is for the front left shock absorbers. These are the highest quality shocks for this model. EFS Front Bushes UK864 - this price is for a pair of rear bushes. Our premium quality polyurethane bush kits are extremely resistant to abrasion, low compression set high tear strength and resistant to oils and solvents. To check the super discounted online price and Australia wide delivery options, please call us during business hours on (02) 6024 1464 or email us here. EFS Front Bushes 3194 - this price is for4 bushes. Our premium quality polyurethane bush kits are extremely resistant to abrasion, low compression set high tear strength and resistant to oils and solvents. To check the super discounted online price and Australia wide delivery options, please call us during business hours on (02) 6024 1464 or email us here. Holden Rear Springs HOL-13E - This price is for a single spring. EFS Springs are designed to enhance your vehicle stability and ride comfort. Lifts approximately 40mm. To check the super discounted online price and Australia wide delivery options, please call us during business hours on (02) 6024 1464 or email us here. EFS ELITE FRONT RIGHT SHOCK ABSORBER 38-5631 - this price is for the front right shock absorber. These are the highest quality shocks for this model. EFS ELITE FRONT LEFT SHOCK ABSORBER 38-5632 - this price is for the front right shock absorber. These are the highest quality shocks for this model. EFS ELITE REAR LEFT SHOCK ABSORBER 385634 - this price is for the front right shock absorber. These are the highest quality shocks for this model. To check the super discounted online price and Australia wide delivery options, please call us during business hours on (02) 6024 1464 or email us here. EFS ELITE REAR RIGHT SHOCK ABSORBER 38-5633 - this price is for the front right shock absorber. These are the highest quality shocks for this model. To check the super discounted online price and Australia wide delivery options, please call us during business hours on (02) 6024 1464 or email us here. THX-02 - This price is for pair of rear springs. EFS Coils are designed to enhance your vehicle stability and ride comfort. Each coil is shoot peened and load tested to ensure a long life, and then finished in powder-coated black. Lifts approximately 40mm. To check the super discounted online price and Australia wide delivery options, please call us during business hours on (02) 6024 1464 or email us here. EFS ENFORCER REAR SHOCK ABSORBER GP2080 - this price is for a pair of rear shock absorbers. To check the super discounted online price and Australia wide delivery options, please call us during business hours on (02) 6024 1464 or email us here. EFS ENFORCER SHOCK ABSORBER GP2082 - this price is for a pair of shock absorbers. To check the super discounted online price and Australia wide delivery options, please call us during business hours on (02) 6024 1464 or email us here. EFS ENFORCER REAR SHOCK ABSORBER GP2094HD - this price is for a pair of rear shocks. To check the super discounted online price and Australia wide delivery options, please call us during business hours on (02) 6024 1464 or email us here. EFS ENFORCER REAR SHOCK ABSORBER GP2081 - this price is for a pair of rear shock absorbers. To check the super discounted online price and Australia wide delivery options, please call us during business hours on (02) 6024 1464 or email us here. EFS ENFORCER FRONT SHOCK ABSORBER GP2635 - this price is for a pair of front shock absorbers. To check the super discounted online price and Australia wide delivery options, please call us during business hours on (02) 6024 1464 or email us here. EFS ENFORCER FRONT SHOCK ABSORBER GP2639 - this price is for a pair of front shock absorbers. To check the super discounted online price and Australia wide delivery options, please call us during business hours on (02) 6024 1464 or email us here. EFS ENFORCER REAR SHOCK ABSORBER GP2650 - This price is for a pair of rear shock absorbers. To check the super discounted online price and Australia wide delivery options, please call us during business hours on (02) 6024 1464 or email us here. EFS ENFORCER FRONT SHOCK ABSORBER GP2088 - this price is for a pair of front shock absorbers. To check the super discounted online price and Australia wide delivery options, please call us during business hours on (02) 6024 1464 or email us here. EFS ENFORCER REAR SHOCK ABSORBER GP2637 - this price is for a pair of rear shocks. To check the super discounted online price and Australia wide delivery options, please call us during business hours on (02) 6024 1464 or email us here. EFS ENFORCER REAR SHOCK ABSORBER GP2076 - this price is for a pair of front shock absorbers. To check the super discounted online price and Australia wide delivery options, please call us during business hours on (02) 6024 1464 or email us here. Nissan Front Springs NIS-126E - this price is for a pair of front springs. EFS Springs are made from high quality spring steel and provides the driver a more comfortable ride on road, along with increased control and ground clearance off road. Includes 3 year/100,000km warranty. To check the super discounted online price and Australia wide delivery options, please call us during business hours on (02) 6024 1464 or email us here. Suzuki Front Coil Springs SUZ-105E - This price is for pair of front springs. EFS Coils are designed to enhance your vehicle stability and ride comfort. Each coil is shoot peened and load tested to ensure a long life, and then finished in powder-coated black. Lifts approximately 40mm. To check the super discounted online price and Australia wide delivery options, please call us during business hours on (02) 6024 1464 or email us here. Front Springs SUZ-03E - this price is for a pair of front springs. EFS Springs are made from high quality spring steel and provides the driver a more comfortable ride on road, along with increased control and ground clearance off road. Includes 3 year/100,000km warranty. To check the super discounted online price and Australia wide delivery options, please call us during business hours on (02) 6024 1464 or email us here. Suzuki Front Coil Springs SUZ-101E - This price is for pair of front springs. EFS Coils are designed to enhance your vehicle stability and ride comfort. Each coil is shoot peened and load tested to ensure a long life, and then finished in powder-coated black. Lifts approximately 40mm. To check the super discounted online price and Australia wide delivery options, please call us during business hours on (02) 6024 1464 or email us here. Suzuki Front Coil Springs SUZ-102E - This price is for pair of front springs. EFS Coils are designed to enhance your vehicle stability and ride comfort. Each coil is shoot peened and load tested to ensure a long life, and then finished in powder-coated black. Lifts approximately 40mm. To check the super discounted online price and Australia wide delivery options, please call us during business hours on (02) 6024 1464 or email us here. Suzuki Front Coil Springs SUZ-103E - This price is for pair of front springs. EFS Coils are designed to enhance your vehicle stability and ride comfort. Each coil is shoot peened and load tested to ensure a long life, and then finished in powder-coated black. Lifts approximately 40mm. To check the super discounted online price and Australia wide delivery options, please call us during business hours on (02) 6024 1464 or email us here. Jeep Rear Coil Springs JEEP-103E - This price is for pair of springs. EFS Coils are designed to enhance your vehicle stability and ride comfort. Each coil is shoot peened and load tested to ensure a long life, and then finished in powder-coated black. Lifts approximately 40mm. To check the super discounted online price and Australia wide delivery options, please call us during business hours on (02) 6024 1464 or email us here. EFS Drop Drag Link 10-1014 - to allow clearance between drag link and RH Side U-Bolts on Raised suspension. Front Springs NIS-101E- this price is for a pair of front springs. 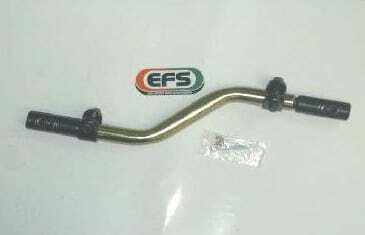 EFS Springs are made from high quality spring steel and provides the driver a more comfortable ride on road, along with increased control and ground clearance off road. Includes 3 year/100,000km warranty. To check the super discounted online price and Australia wide delivery options, please call us during business hours on (02) 6024 1464 or email us here. THX-104HDE - This price is for pair of front springs. EFS Coils are designed to enhance your vehicle stability and ride comfort. Each coil is shoot peened and load tested to ensure a long life, and then finished in powder-coated black. Lifts approximately 40mm. To check the super discounted online price and Australia wide delivery options, please call us during business hours on (02) 6024 1464 or email us here. THX-101E - This price is for pair of rear springs. EFS Coils are designed to enhance your vehicle stability and ride comfort. Each coil is shoot peened and load tested to ensure a long life, and then finished in powder-coated black. Lifts approximately 40mm. To check the super discounted online price and Australia wide delivery options, please call us during business hours on (02) 6024 1464 or email us here. Suzuki Rear Coil Springs SUZ-111E - This price is for pair of front springs. EFS Coils are designed to enhance your vehicle stability and ride comfort. Each coil is shoot peened and load tested to ensure a long life, and then finished in powder-coated black. Lifts approximately 40mm. To check the super discounted online price and Australia wide delivery options, please call us during business hours on (02) 6024 1464 or email us here. Suzuki Rear Coil Springs SUZ-108E - This price is for pair of front springs. EFS Coils are designed to enhance your vehicle stability and ride comfort. Each coil is shoot peened and load tested to ensure a long life, and then finished in powder-coated black. Lifts approximately 40mm. To check the super discounted online price and Australia wide delivery options, please call us during business hours on (02) 6024 1464 or email us here. Suzuki Rear Coil Springs SUZ-109E - This price is for pair of front springs. EFS Coils are designed to enhance your vehicle stability and ride comfort. Each coil is shoot peened and load tested to ensure a long life, and then finished in powder-coated black. Lifts approximately 40mm. To check the super discounted online price and Australia wide delivery options, please call us during business hours on (02) 6024 1464 or email us here. Ssangyong Rear Coil Springs MUS-100E - This price is for pair of rear springs. EFS Coils are designed to enhance your vehicle stability and ride comfort. Each coil is shoot peened and load tested to ensure a long life, and then finished in powder-coated black. Lifts approximately 40mm. To check the super discounted online price and Australia wide delivery options, please call us during business hours on (02) 6024 1464 or email us here. Mazda Rear Springs MAZD-02 - this price is for a pair of heavy duty rear springs. EFS Springs are made from high quality spring steel and provides the driver a more comfortable ride on road, along with increased control and ground clearance off road. Includes 3 year/100,000km warranty. To check the super discounted online price and Australia wide delivery options, please call us during business hours on (02) 6024 1464 or email us here. Ford Leaf Rear Springs MAZD-01- this price is for a pair of rear springs. EFS Springs are made from high quality spring steel and provides the driver a more comfortable ride on road, along with increased control and ground clearance off road. Includes 3 year/100,000km warranty. To check the super discounted online price and Australia wide delivery options, please call us during business hours on (02) 6024 1464 or email us here. EFS ENFORCER FRONT SHOCK ABSORBER - this price is for a pair of front shock absorbers. To check the super discounted online price and Australia wide delivery options, please call us during business hours on (02) 6024 1464 or email us here. Rear Springs NIS-113E - this price is for a pair of springs. EFS Springs are made from high quality spring steel and provides the driver a more comfortable ride on road, along with increased control and ground clearance off road. Includes 3 year/100,000km warranty. To check the super discounted online price and Australia wide delivery options, please call us during business hours on (02) 6024 1464 or email us here. 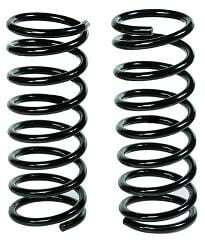 Rear Springs NIS-114E - this price is for a pair of springs. EFS Springs are made from high quality spring steel and provides the driver a more comfortable ride on road, along with increased control and ground clearance off road. Includes 3 year/100,000km warranty. To check the super discounted online price and Australia wide delivery options, please call us during business hours on (02) 6024 1464 or email us here. TPR-104HDE - This price is for pair of front springs. EFS Coils are designed to enhance your vehicle stability and ride comfort. Each coil is shoot peened and load tested to ensure a long life, and then finished in powder-coated black. Lifts approximately 40mm. To check the super discounted online price and Australia wide delivery options, please call us during business hours on (02) 6024 1464 or email us here. TPR-105HDE - This price is for pair of rear springs. EFS Coils are designed to enhance your vehicle stability and ride comfort. Each coil is shoot peened and load tested to ensure a long life, and then finished in powder-coated black. Lifts approximately 40mm. To check the super discounted online price and Australia wide delivery options, please call us during business hours on (02) 6024 1464 or email us here. Jeep Front Coil Springs JEEP-101E - This price is for pair of front springs. EFS Coils are designed to enhance your vehicle stability and ride comfort. Each coil is shoot peened and load tested to ensure a long life, and then finished in powder-coated black. Lifts approximately 40mm. To check the super discounted online price and Australia wide delivery options, please call us during business hours on (02) 6024 1464 or email us here. Jeep Rear Coil Springs JEEP-104E - This price is for pair of front springs. EFS Coils are designed to enhance your vehicle stability and ride comfort. Each coil is shoot peened and load tested to ensure a long life, and then finished in powder-coated black. Lifts approximately 40mm. To check the super discounted online price and Australia wide delivery options, please call us during business hours on (02) 6024 1464 or email us here. Jeep Front Coil Springs JEEP-102E - This price is for pair of front springs. EFS Coils are designed to enhance your vehicle stability and ride comfort. Each coil is shoot peened and load tested to ensure a long life, and then finished in powder-coated black. Lifts approximately 40mm. To check the super discounted online price and Australia wide delivery options, please call us during business hours on (02) 6024 1464 or email us here. Jeep Front Coil Springs JEEP-100E - This price is for pair of front springs. EFS Coils are designed to enhance your vehicle stability and ride comfort. Each coil is shoot peened and load tested to ensure a long life, and then finished in powder-coated black. Lifts approximately 40mm. To check the super discounted online price and Australia wide delivery options, please call us during business hours on (02) 6024 1464 or email us here. Hyundai Rear Coil Springs HYU-101E - This price is for pair of springs. EFS Coils are designed to enhance your vehicle stability and ride comfort. Each coil is shoot peened and load tested to ensure a long life, and then finished in powder-coated black. Lifts approximately 40mm. To check the super discounted online price and Australia wide delivery options, please call us during business hours on (02) 6024 1464 or email us here. Holden Rear Springs HOL-02 - This price is for pair of springs. EFS Coils are designed to enhance your vehicle stability and ride comfort. Each coil is shoot peened and load tested to ensure a long life, and then finished in powder-coated black. Lifts approximately 40mm. To check the super discounted online price and Australia wide delivery options, please call us during business hours on (02) 6024 1464 or email us here. Front Springs LAN-107E - this price is for a pair of front springs. EFS Springs are made from high quality spring steel and provides the driver a more comfortable ride on road, along with increased control and ground clearance off road. Includes 3 year/100,000km warranty. To check the super discounted online price and Australia wide delivery options, please call us during business hours on (02) 6024 1464 or email us here. 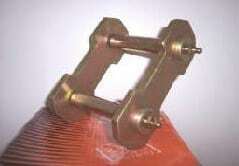 Front Springs LAN-108E - this price is for a pair of front springs. EFS Springs are made from high quality spring steel and provides the driver a more comfortable ride on road, along with increased control and ground clearance off road. Includes 3 year/100,000km warranty. To check the super discounted online price and Australia wide delivery options, please call us during business hours on (02) 6024 1464 or email us here. Rear Coil Springs MIT-101E - This price is for pair of springs. EFS Coils are designed to enhance your vehicle stability and ride comfort. Each coil is shoot peened and load tested to ensure a long life, and then finished in powder-coated black. Lifts approximately 40mm. To check the super discounted online price and Australia wide delivery options, please call us during business hours on (02) 6024 1464 or email us here. Front Coil Springs MIT-100E - This price is for pair of springs. EFS Coils are designed to enhance your vehicle stability and ride comfort. Each coil is shoot peened and load tested to ensure a long life, and then finished in powder-coated black. Lifts approximately 40mm. To check the super discounted online price and Australia wide delivery options, please call us during business hours on (02) 6024 1464 or email us here. Front Coil Springs MIT-109E - This price is for pair of springs. EFS Coils are designed to enhance your vehicle stability and ride comfort. Each coil is shoot peened and load tested to ensure a long life, and then finished in powder-coated black. Lifts approximately 40mm. To check the super discounted online price and Australia wide delivery options, please call us during business hours on (02) 6024 1464 or email us here. Rear Coil Springs MIT-107E - This price is for pair of springs. EFS Coils are designed to enhance your vehicle stability and ride comfort. Each coil is shoot peened and load tested to ensure a long life, and then finished in powder-coated black. Lifts approximately 40mm. To check the super discounted online price and Australia wide delivery options, please call us during business hours on (02) 6024 1464 or email us here. Rear Springs MITS-01E- this price is for a pair of rear springs. EFS Springs are made from high quality spring steel and provides the driver a more comfortable ride on road, along with increased control and ground clearance off road. Includes 3 year/100,000km warranty. To check the super discounted online price and Australia wide delivery options, please call us during business hours on (02) 6024 1464 or email us here. Rear Springs MITS-03E- this price is for a pair of rear springs. EFS Springs are made from high quality spring steel and provides the driver a more comfortable ride on road, along with increased control and ground clearance off road. Includes 3 year/100,000km warranty. To check the super discounted online price and Australia wide delivery options, please call us during business hours on (02) 6024 1464 or email us here. Rear Springs MIT-03E- this price is for a pair of rear springs. EFS Springs are made from high quality spring steel and provides the driver a more comfortable ride on road, along with increased control and ground clearance off road. Includes 3 year/100,000km warranty. To check the super discounted online price and Australia wide delivery options, please call us during business hours on (02) 6024 1464 or email us here. TPR-101HDE - This price is for pair of front springs. EFS Coils are designed to enhance your vehicle stability and ride comfort. Each coil is shoot peened and load tested to ensure a long life, and then finished in powder-coated black. Lifts approximately 40mm. To check the super discounted online price and Australia wide delivery options, please call us during business hours on (02) 6024 1464 or email us here. Holden Rear Coil Springs HOL-103HDE - This price is for pair of springs. EFS Coils are designed to enhance your vehicle stability and ride comfort. Each coil is shoot peened and load tested to ensure a long life, and then finished in powder-coated black. Lifts approximately 40mm. To check the super discounted online price and Australia wide delivery options, please call us during business hours on (02) 6024 1464 or email us here. Toyota Rear Springs THX06 - this price is for a pair of rear springs. EFS Springs are made from high quality spring steel and provides the driver a more comfortable ride on road, along with increased control and ground clearance off road. Includes 3 year/100,000km warranty. To check the super discounted online price and Australia wide delivery options, please call us during business hours on (02) 6024 1464 or email us here. EFS ELITE FRONT LEFT SHOCK ABSORBER 30-5625 - this price is for the front left shock absorbers. These are the highest quality shocks for this model. EFS ELITE FRONT RIGHT SHOCK ABSORBER 30-5626 - this price is for the front right shock absorber. These are the highest quality shocks for this model. EFS ELITE FRONT LEFT SHOCK ABSORBER 30-5621 - this price is for the front left shock absorbers. These are the highest quality shocks for this model. EFS ELITE FRONT RIGHT SHOCK ABSORBER 30-5622 - this price is for the front right shock absorber. These are the highest quality shocks for this model.To check the super discounted online price and Australia wide delivery options, please call us during business hours on (02) 6024 1464 or email us here. Jeep Rear Coil Springs JEEP-106E - This price is for pair of front springs. EFS Coils are designed to enhance your vehicle stability and ride comfort. Each coil is shoot peened and load tested to ensure a long life, and then finished in powder-coated black. Lifts approximately 40mm. To check the super discounted online price and Australia wide delivery options, please call us during business hours on (02) 6024 1464 or email us here. Front Springs LAN-112E - this price is for a pair of front springs. EFS Springs are made from high quality spring steel and provides the driver a more comfortable ride on road, along with increased control and ground clearance off road. Includes 3 year/100,000km warranty. To check the super discounted online price and Australia wide delivery options, please call us during business hours on (02) 6024 1464 or email us here. THX-20E Heavy Duty - This price is for pair of rear springs. EFS Coils are designed to enhance your vehicle stability and ride comfort. Each coil is shoot peened and load tested to ensure a long life, and then finished in powder-coated black. Lifts approximately 40mm. To check the super discounted online price and Australia wide delivery options, please call us during business hours on (02) 6024 1464 or email us here. Suzuki Front Coil Springs SUZ-112E - This price is for pair of front springs. EFS Coils are designed to enhance your vehicle stability and ride comfort. Each coil is shoot peened and load tested to ensure a long life, and then finished in powder-coated black. Lifts approximately 40mm. To check the super discounted online price and Australia wide delivery options, please call us during business hours on (02) 6024 1464 or email us here. TLC-116HDE - This price is for pair of rear springs. EFS Coils are designed to enhance your vehicle stability and ride comfort. Each coil is shoot peened and load tested to ensure a long life, and then finished in powder-coated black. To check the super discounted online price and Australia wide delivery options, please call us during business hours on (02) 6024 1464 or email us here. 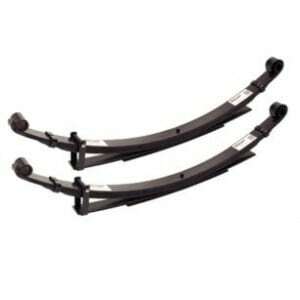 Leaf Springs SUZ-05E - this price is for a pair of springs. EFS Springs are made from high quality spring steel and provides the driver a more comfortable ride on road, along with increased control and ground clearance off road. Includes 3 year/100,000km warranty. To check the super discounted online price and Australia wide delivery options, please call us during business hours on (02) 6024 1464 or email us here. EFS ELITE REAR SHOCK ABSORBER 36-5547 - this price is for a pair of front shock absorbers. These are the highest quality shocks for this model. To check the super discounted online price and Australia wide delivery options, please call us during business hours on (02) 6024 1464 or email us here. EFS ELITE REAR SHOCK ABSORBER 36-5427 - this price is for a pair of rear shocks. To check the super discounted online price and Australia wide delivery options, please call us during business hours on (02) 6024 1464 or email us here. EFS ELITE REAR SHOCK ABSORBER 36-5562 - this price is for a pair of rear shocks. They provide a firmer ride than the Comfort shock. To check the super discounted online price and Australia wide delivery options, please call us during business hours on (02) 6024 1464 or email us here. EFS ELITE REAR SHOCK ABSORBER 36-5485 - this price is for a pair of rear shocks. To check the super discounted online price and Australia wide delivery options, please call us during business hours on (02) 6024 1464 or email us here. EFS ELITE FRONT SHOCK ABSORBER 36-5484 - this price is for a pair of front shocks. To check the super discounted online price and Australia wide delivery options, please call us during business hours on (02) 6024 1464 or email us here. EFS ELITE REAR SHOCK ABSORBER 36-5486 - this price is for a pair of rear shocks. To check the super discounted online price and Australia wide delivery options, please call us during business hours on (02) 6024 1464 or email us here. EFS ELITE REAR SHOCK ABSORBER 36-5564 - this price is for a pair of rear shocks. To check the super discounted online price and Australia wide delivery options, please call us during business hours on (02) 6024 1464 or email us here. EFS ELITE FRONT SHOCK ABSORBER 36-5578 - this price is for a pair of front shock absorbers. These are the highest quality shocks for this model. To check the super discounted online price and Australia wide delivery options, please call us during business hours on (02) 6024 1464 or email us here. EFS ELITE REAR SHOCK ABSORBER 36-5522 - this price is for a pair of rear shocks. To check the super discounted online price and Australia wide delivery options, please call us during business hours on (02) 6024 1464 or email us here. EFS ELITE REAR SHOCK ABSORBER 36-5533 - this price is for a pair of rear shocks. To check the super discounted online price and Australia wide delivery options, please call us during business hours on (02) 6024 1464 or email us here. EFS ELITE FRONT SHOCK ABSORBER 3204 - this price is for a pair of front shocks. EFS ELITE REAR SHOCK ABSORBER 36-3293 - this price is for a pair of rear shocks. To check the super discounted online price and Australia wide delivery options, please call us during business hours on (02) 6024 1464 or email us here. EFS ELITE REAR SHOCK ABSORBER 36-3205 - this price is for a pair of rear shocks. To check the super discounted online price and Australia wide delivery options, please call us during business hours on (02) 6024 1464 or email us here. EFS ELITE FRONT SHOCK ABSORBER 3237 - this price is for a pair of front shocks. EFS ELITE REAR SHOCK ABSORBER 3236 - this price is for a pair of rear shocks. To check the super discounted online price and Australia wide delivery options, please call us during business hours on (02) 6024 1464 or email us here. 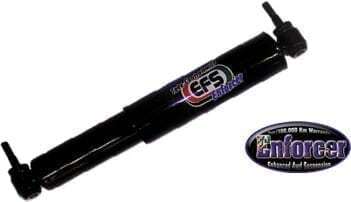 EFS ELITE FRONT SHOCK ABSORBER 36-5600 - this price is for a pair or shocks. To check the super discounted online price and Australia wide delivery options, please call us during business hours on (02) 6024 1464 or email us here. EFS ELITE REAR SHOCK ABSORBER 36-5526 - this price is for a pair of front shock absorbers. These are the highest quality shocks for this model. To check the super discounted online price and Australia wide delivery options, please call us during business hours on (02) 6024 1464 or email us here. EFS ELITE FRONT SHOCK ABSORBER 36-5604 - this price is for a pair or shocks. To check the super discounted online price and Australia wide delivery options, please call us during business hours on (02) 6024 1464 or email us here. EFS ELITE REAR SHOCK ABSORBER 36-5595 - this price is for a pair of shock absorbers. These are the highest quality shocks for this model. To check the super discounted online price and Australia wide delivery options, please call us during business hours on (02) 6024 1464 or email us here. EFS ELITE FRONT SHOCK ABSORBER 36-5535 - this price is for a pair of shocks. To check the super discounted online price and Australia wide delivery options, please call us during business hours on (02) 6024 1464 or email us here. EFS ELITE REAR SHOCK ABSORBER 36-5590 - this price is for a pair of shock absorbers. These are the highest quality shocks for this model. To check the super discounted online price and Australia wide delivery options, please call us during business hours on (02) 6024 1464 or email us here. EFS ELITE FRONT SHOCK ABSORBER 36-5598 - this price is for a pair of shock absorbers. These are the highest quality shocks for this model. To check the super discounted online price and Australia wide delivery options, please call us during business hours on (02) 6024 1464 or email us here. EFS ELITE REAR SHOCK ABSORBER 36-5599 - this price is for a pair of shock absorbers. These are the highest quality shocks for this model. To check the super discounted online price and Australia wide delivery options, please call us during business hours on (02) 6024 1464 or email us here. EFS ELITE FRONT SHOCK ABSORBER 36-5530 - this price is for a pair of shocks. To check the super discounted online price and Australia wide delivery options, please call us during business hours on (02) 6024 1464 or email us here. EFS ELITE REAR SHOCK ABSORBER 36-5597 - this price is for a pair of shock absorbers. These are the highest quality shocks for this model. To check the super discounted online price and Australia wide delivery options, please call us during business hours on (02) 6024 1464 or email us here. EFS ELITE REAR SHOCK ABSORBER 36-5580 - this price is for a pair or rear shocks. To check the super discounted online price and Australia wide delivery options, please call us during business hours on (02) 6024 1464 or email us here. EFS ELITE REAR SHOCK ABSORBER 36-5582 - this price is for a pair or rear shocks. To check the super discounted online price and Australia wide delivery options, please call us during business hours on (02) 6024 1464 or email us here. EFS ELITE REAR SHOCK ABSORBER 36-5550S - this price is for a pair of rear shocks. To check the super discounted online price and Australia wide delivery options, please call us during business hours on (02) 6024 1464 or email us here. EFS ELITE FRONT SHOCK ABSORBER 36-5552S - this price is for a pair of front shock absorbers. These are the highest quality shocks for this model. To check the super discounted online price and Australia wide delivery options, please call us during business hours on (02) 6024 1464 or email us here. EFS ELITE REAR SHOCK ABSORBER 36-5586 - this price is for a pair of rear shocks. To check the super discounted online price and Australia wide delivery options, please call us during business hours on (02) 6024 1464 or email us here. EFS ELITE REAR SHOCK ABSORBER 36-5541 - this price is for a pair or rear shocks. To check the super discounted online price and Australia wide delivery options, please call us during business hours on (02) 6024 1464 or email us here. EFS ELITE FRONT SHOCK ABSORBER 36-5546 - this price is for a pair of front shock absorbers. These are the highest quality shocks for this model. To check the super discounted online price and Australia wide delivery options, please call us during business hours on (02) 6024 1464 or email us here. 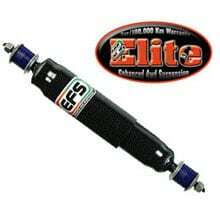 EFS ELITE REAR SHOCK ABSORBER 36-5548 - this price is for a pair or rear shocks. To check the super discounted online price and Australia wide delivery options, please call us during business hours on (02) 6024 1464 or email us here. EFS ELITE FRONT SHOCK ABSORBER 36-5566 - this price is for a pair of front shock absorbers. These are the highest quality shocks for this model. To check the super discounted online price and Australia wide delivery options, please call us during business hours on (02) 6024 1464 or email us here. EFS ELITE FRONT SHOCK ABSORBER 36-5543 - this price is for a pair of front shock absorbers. These are the highest quality shocks for this model. To check the super discounted online price and Australia wide delivery options, please call us during business hours on (02) 6024 1464 or email us here. EFS ELITE REAR SHOCK ABSORBER 36-5585 - this price is for a pair or rear shocks. To check the super discounted online price and Australia wide delivery options, please call us during business hours on (02) 6024 1464 or email us here. EFS ELITE FRONT SHOCK ABSORBER 36-5560 - this price is for a pair of front shock absorbers. These are the highest quality shocks for this model. To check the super discounted online price and Australia wide delivery options, please call us during business hours on (02) 6024 1464 or email us here. EFS ELITE REAR SHOCK ABSORBER 36-5563 - this price is for a pair of rear shocks. To check the super discounted online price and Australia wide delivery options, please call us during business hours on (02) 6024 1464 or email us here. EFS ELITE FRONT SHOCK ABSORBER 36-5538S - this price is for a pair of front shock absorbers. These are the highest quality shocks for this model and provide the most comfortable ride. To check the super discounted online price and Australia wide delivery options, please call us during business hours on (02) 6024 1464 or email us here. EFS ELITE FRONT SHOCK ABSORBER 36-5538 - this price is for a pair of front shock absorbers. These are the highest quality shocks for this model. To check the super discounted online price and Australia wide delivery options, please call us during business hours on (02) 6024 1464 or email us here. EFS ELITE FRONT SHOCK ABSORBER 36-3253S - this price is for a pair of rear shocks. EFS ELITE REAR SHOCK ABSORBER 36-5425 - this price is for a pair of rear shocks. To check the super discounted online price and Australia wide delivery options, please call us during business hours on (02) 6024 1464 or email us here. EFS ELITE FRONT SHOCK ABSORBER 36-5570 - this price is for a pair of front shock absorbers. These are the highest quality shocks for this model. To check the super discounted online price and Australia wide delivery options, please call us during business hours on (02) 6024 1464 or email us here. EFS ELITE REAR SHOCK ABSORBER 36-5521 - this price is for a pair or rear shocks. To check the super discounted online price and Australia wide delivery options, please call us during business hours on (02) 6024 1464 or email us here. EFS ELITE REAR SHOCK ABSORBER 36-5561 - this price is for a pair of rear shocks. They provide a firmer ride than the Comfort shock. To check the super discounted online price and Australia wide delivery options, please call us during business hours on (02) 6024 1464 or email us here. EFS ELITE REAR SHOCK ABSORBER 36-5523 - this price is for a pair or rear shocks. To check the super discounted online price and Australia wide delivery options, please call us during business hours on (02) 6024 1464 or email us here. Rear Springs LAN-102E - this price is for a pair of front springs. EFS Springs are made from high quality spring steel and provides the driver a more comfortable ride on road, along with increased control and ground clearance off road. Includes 3 year/100,000km warranty. To check the super discounted online price and Australia wide delivery options, please call us during business hours on (02) 6024 1464 or email us here. Toyota Front Springs TLC06 - this price is for a pair of front springs. EFS Springs are made from high quality spring steel and provides the driver a more comfortable ride on road, along with increased control and ground clearance off road. Includes 3 year/100,000km warranty. To check the super discounted online price and Australia wide delivery options, please call us during business hours on (02) 6024 1464 or email us here. Toyota Rear Springs TLC43 - this price is for a pair of rear springs. EFS Springs are made from high quality spring steel and provides the driver a more comfortable ride on road, along with increased control and ground clearance off road. Includes 3 year/100,000km warranty. To check the super discounted online price and Australia wide delivery options, please call us during business hours on (02) 6024 1464 or email us here. TPR-103HDE - This price is for pair of rear springs. EFS Coils are designed to enhance your vehicle stability and ride comfort. Each coil is shoot peened and load tested to ensure a long life, and then finished in powder-coated black. Lifts approximately 40mm. To check the super discounted online price and Australia wide delivery options, please call us during business hours on (02) 6024 1464 or email us here. Rear Coil Springs MIT-103E - This price is for pair of springs. EFS Coils are designed to enhance your vehicle stability and ride comfort. Each coil is shoot peened and load tested to ensure a long life, and then finished in powder-coated black. Lifts approximately 40mm. To check the super discounted online price and Australia wide delivery options, please call us during business hours on (02) 6024 1464 or email us here. EFS Drop Drag Link 10-1033 - to allow clearance between drag link and RH Side U-Bolts on Raised suspension. Recommended on 100mm raised suspensions on Toyota Hilux’s with Leaf sprung Front axle. There have been rare occasions where this unit was required on 50mm and75mm raised suspensions. The drag link clearance should be checked on all raised leaf spring suspensions installed to Hilux’s. Front Springs NIS-11- this price is for a pair of front springs. EFS Springs are made from high quality spring steel and provides the driver a more comfortable ride on road, along with increased control and ground clearance off road. Includes 3 year/100,000km warranty. To check the super discounted online price and Australia wide delivery options, please call us during business hours on (02) 6024 1464 or email us here. Torsion Bar TB-1546A - Made from high carbon alloy steel, EFS torsion bars will improve your vehicle handling and response with increased strength of 25%-35% over the standard factory bars. To check the super discounted online price and Australia wide delivery options, please call us during business hours on (02) 6024 1464 or email us here. Toyota Torsion Bars TB-1646A - Made from high carbon alloy steel, EFS torsion bars will improve your vehicle handling and response with increased strength of 25%-35% over the standard factory bars. To check the super discounted online price and Australia wide delivery options, please call us during business hours on (02) 6024 1464 or email us here. Toyota Front Springs TLC22 - this price is for a pair of front springs. EFS Springs are made from high quality spring steel and provides the driver a more comfortable ride on road, along with increased control and ground clearance off road. Includes 3 year/100,000km warranty. To check the super discounted online price and Australia wide delivery options, please call us during business hours on (02) 6024 1464 or email us here. Toyota Torsion Bars TB-TB-1636 - Made from high carbon alloy steel, EFS torsion bars will improve your vehicle handling and response with increased strength of 25%-35% over the standard factory bars. To check the super discounted online price and Australia wide delivery options, please call us during business hours on (02) 6024 1464 or email us here. Toyota Front Springs THX12E and THX13E - this price is for a pair of front springs. EFS Springs are made from high quality spring steel and provides the driver a more comfortable ride on road, along with increased control and ground clearance off road. Includes 3 year/100,000km warranty. To check the super discounted online price and Australia wide delivery options, please call us during business hours on (02) 6024 1464 or email us here. Toyota Front Springs THX14E and THX15E - this price is for a pair of front springs. EFS Springs are made from high quality spring steel and provides the driver a more comfortable ride on road, along with increased control and ground clearance off road. Includes 3 year/100,000km warranty. To check the super discounted online price and Australia wide delivery options, please call us during business hours on (02) 6024 1464 or email us here. Toyota Front Springs TLC42 - this price is for a pair of front springs. EFS Springs are made from high quality spring steel and provides the driver a more comfortable ride on road, along with increased control and ground clearance off road. Includes 3 year/100,000km warranty. To check the super discounted online price and Australia wide delivery options, please call us during business hours on (02) 6024 1464 or email us here. Toyota Front Springs TLC40 - this price is for a pair of front springs. EFS Springs are made from high quality spring steel and provides the driver a more comfortable ride on road, along with increased control and ground clearance off road. Includes 3 year/100,000km warranty. To check the super discounted online price and Australia wide delivery options, please call us during business hours on (02) 6024 1464 or email us here. EFS ELITE FRONT SHOCK ABSORBER 36-5638 - this price is for a pair of front shock absorbers. These are the highest quality shocks for this model. To check the super discounted online price and Australia wide delivery options, please call us during business hours on (02) 6024 1464 or email us here. EFS ELITE REAR SHOCK ABSORBER 30-5618 - this price is for a pair of shock absorbers. These are the highest quality shocks for this model. To check the super discounted online price and Australia wide delivery options, please call us during business hours on (02) 6024 1464 or email us here. Torsion Bar TB-1458A - Made from high carbon alloy steel, EFS torsion bars will improve your vehicle handling and response with increased strength of 25%-35% over the standard factory bars. To check the super discounted online price and Australia wide delivery options, please call us during business hours on (02) 6024 1464 or email us here. Ford Front Springs FORD-30HD - this price is for a pair of front springs. EFS Springs are made from high quality spring steel and provides the driver a more comfortable ride on road, along with increased control and ground clearance off road. Includes 3 year/100,000km warranty. To check the super discounted online price and Australia wide delivery options, please call us during business hours on (02) 6024 1464 or email us here. Rear Springs NIS-111E- this price is for a pair of springs. EFS Springs are made from high quality spring steel and provides the driver a more comfortable ride on road, along with increased control and ground clearance off road. Includes 3 year/100,000km warranty. To check the super discounted online price and Australia wide delivery options, please call us during business hours on (02) 6024 1464 or email us here. Holden Rear Springs HOL-01 - This price is for pair of springs. EFS Coils are designed to enhance your vehicle stability and ride comfort. Each coil is shoot peened and load tested to ensure a long life, and then finished in powder-coated black. Lifts approximately 40mm. To check the super discounted online price and Australia wide delivery options, please call us during business hours on (02) 6024 1464 or email us here. Torsion Bar TB-1556 - Made from high carbon alloy steel, EFS torsion bars will improve your vehicle handling and response with increased strength of 25%-35% over the standard factory bars. To check the super discounted online price and Australia wide delivery options, please call us during business hours on (02) 6024 1464 or email us here. Torsion Bar TB-200A - Made from high carbon alloy steel, EFS torsion bars will improve your vehicle handling and response with increased strength of 25%-35% over the standard factory bars. To check the super discounted online price and Australia wide delivery options, please call us during business hours on (02) 6024 1464 or email us here. EFS ELITE FRONT SHOCK ABSORBER 38-5624 - this price is for a pair of shock absorbers. These are the highest quality shocks for this model. To check the super discounted online price and Australia wide delivery options, please call us during business hours on (02) 6024 1464 or email us here. 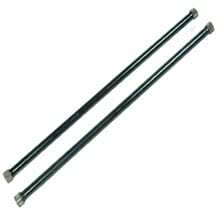 Torsion Bar TB-204A - Made from high carbon alloy steel, EFS torsion bars will improve your vehicle handling and response with increased strength of 25%-35% over the standard factory bars. To check the super discounted online price and Australia wide delivery options, please call us during business hours on (02) 6024 1464 or email us here. Torsion Bar TB-1456A - Made from high carbon alloy steel, EFS torsion bars will improve your vehicle handling and response with increased strength of 25%-35% over the standard factory bars. To check the super discounted online price and Australia wide delivery options, please call us during business hours on (02) 6024 1464 or email us here. Rear Springs NIS-16E - this price is for a pair of springs. EFS Springs are made from high quality spring steel and provides the driver a more comfortable ride on road, along with increased control and ground clearance off road. Includes 3 year/100,000km warranty. To check the super discounted online price and Australia wide delivery options, please call us during business hours on (02) 6024 1464 or email us here. Torsion Bar TB-1446A - Made from high carbon alloy steel, EFS torsion bars will improve your vehicle handling and response with increased strength of 25%-35% over the standard factory bars. To check the super discounted online price and Australia wide delivery options, please call us during business hours on (02) 6024 1464 or email us here. Torsion Bar TB-203A - Made from high carbon alloy steel, EFS torsion bars will improve your vehicle handling and response with increased strength of 25%-35% over the standard factory bars. To check the super discounted online price and Australia wide delivery options, please call us during business hours on (02) 6024 1464 or email us here. Daihatsu Front Springs DAI-06- this price is for a pair of rear springs. EFS Springs are made from high quality spring steel and provides the driver a more comfortable ride on road, along with increased control and ground clearance off road. Includes 3 year/100,000km warranty. Front Springs NMK-50- this price is for a pair of front springs. EFS Springs are made from high quality spring steel and provides the driver a more comfortable ride on road, along with increased control and ground clearance off road. Includes 3 year/100,000km warranty. To check the super discounted online price and Australia wide delivery options, please call us during business hours on (02) 6024 1464 or email us here. Rear Springs NIS-112E - this price is for a pair of springs. EFS Springs are made from high quality spring steel and provides the driver a more comfortable ride on road, along with increased control and ground clearance off road. Includes 3 year/100,000km warranty. To check the super discounted online price and Australia wide delivery options, please call us during business hours on (02) 6024 1464 or email us here. Daihatsu Front Springs DAI-04- this price is for a pair of rear springs. EFS Springs are made from high quality spring steel and provides the driver a more comfortable ride on road, along with increased control and ground clearance off road. Includes 3 year/100,000km warranty. Hyundai Torsion Bar TB-1552A - Made from high carbon alloy steel, EFS torsion bars will improve your vehicle handling and response with increased strength of 25%-35% over the standard factory bars. To check the super discounted online price and Australia wide delivery options, please call us during business hours on (02) 6024 1464 or email us here. Rear Springs NIS-15- this price is for a pair of springs. EFS Springs are made from high quality spring steel and provides the driver a more comfortable ride on road, along with increased control and ground clearance off road. Includes 3 year/100,000km warranty. To check the super discounted online price and Australia wide delivery options, please call us during business hours on (02) 6024 1464 or email us here. Ford Leaf Rear Springs FORD-32 - this price is for a pair of rear springs. EFS Springs are made from high quality spring steel and provides the driver a more comfortable ride on road, along with increased control and ground clearance off road. Includes 3 year/100,000km warranty. To check the super discounted online price and Australia wide delivery options, please call us during business hours on (02) 6024 1464 or email us here. Toyota Torsion Bars TB-TB-1610 - Made from high carbon alloy steel, EFS torsion bars will improve your vehicle handling and response with increased strength of 25%-35% over the standard factory bars. To check the super discounted online price and Australia wide delivery options, please call us during business hours on (02) 6024 1464 or email us here. TLC-102HDE - This price is for pair of front springs. EFS Coils are designed to enhance your vehicle stability and ride comfort. Each coil is shoot peened and load tested to ensure a long life, and then finished in powder-coated black. To check the super discounted online price and Australia wide delivery options, please call us during business hours on (02) 6024 1464 or email us here. TLC-103E - This price is for pair of front springs. EFS Coils are designed to enhance your vehicle stability and ride comfort. Each coil is shoot peened and load tested to ensure a long life, and then finished in powder-coated black. To check the super discounted online price and Australia wide delivery options, please call us during business hours on (02) 6024 1464 or email us here. Torsion Bar TB-1549 - Made from high carbon alloy steel, EFS torsion bars will improve your vehicle handling and response with increased strength of 25%-35% over the standard factory bars. To check the super discounted online price and Australia wide delivery options, please call us during business hours on (02) 6024 1464 or email us here. Torsion Bar TB-1550 - Made from high carbon alloy steel, EFS torsion bars will improve your vehicle handling and response with increased strength of 25%-35% over the standard factory bars. To check the super discounted online price and Australia wide delivery options, please call us during business hours on (02) 6024 1464 or email us here. EFS ELITE FRONT SHOCK ABSORBER 30-5617 - this price is for a pair of shock absorbers. These are the highest quality shocks for this model. Toyota Rear Springs TLC07 - this price is for a pair of rear springs. EFS Springs are made from high quality spring steel and provides the driver a more comfortable ride on road, along with increased control and ground clearance off road. Includes 3 year/100,000km warranty. To check the super discounted online price and Australia wide delivery options, please call us during business hours on (02) 6024 1464 or email us here. Daihatsu Front Springs DAI-09- this price is for a pair of rear springs. EFS Springs are made from high quality spring steel and provides the driver a more comfortable ride on road, along with increased control and ground clearance off road. Includes 3 year/100,000km warranty. Toyota Rear Springs THX04 - this price is for a pair of rear springs. EFS Springs are made from high quality spring steel and provides the driver a more comfortable ride on road, along with increased control and ground clearance off road. Includes 3 year/100,000km warranty. To check the super discounted online price and Australia wide delivery options, please call us during business hours on (02) 6024 1464 or email us here. 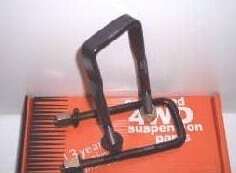 Rear Springs NMQ-40 - this price is for a pair of front springs. EFS Springs are made from high quality spring steel and provides the driver a more comfortable ride on road, along with increased control and ground clearance off road. Includes 3 year/100,000km warranty. To check the super discounted online price and Australia wide delivery options, please call us during business hours on (02) 6024 1464 or email us here. Toyota Rear Springs THX40E - this price is for a pair of heavy duty rear springs. EFS Springs are made from high quality spring steel and provides the driver a more comfortable ride on road, along with increased control and ground clearance off road. Includes 3 year/100,000km warranty. To check the super discounted online price and Australia wide delivery options, please call us during business hours on (02) 6024 1464 or email us here. TLC-113HDE - This price is for pair of rear springs. EFS Coils are designed to enhance your vehicle stability and ride comfort. Each coil is shoot peened and load tested to ensure a long life, and then finished in powder-coated black. To check the super discounted online price and Australia wide delivery options, please call us during business hours on (02) 6024 1464 or email us here. Toyota Rear Springs THX08 - this price is for a pair of rear springs. EFS Springs are made from high quality spring steel and provides the driver a more comfortable ride on road, along with increased control and ground clearance off road. Includes 3 year/100,000km warranty. To check the super discounted online price and Australia wide delivery options, please call us during business hours on (02) 6024 1464 or email us here. Toyota Rear Springs THX-24E - this price is for a pair of heavy duty rear springs. EFS Springs are made from high quality spring steel and provides the driver a more comfortable ride on road, along with increased control and ground clearance off road. Includes 3 year/100,000km warranty. To check the super discounted online price and Australia wide delivery options, please call us during business hours on (02) 6024 1464 or email us here. Toyota Rear Springs THX20E - this price is for a pair of heavy duty rear springs. EFS Springs are made from high quality spring steel and provides the driver a more comfortable ride on road, along with increased control and ground clearance off road. Includes 3 year/100,000km warranty. To check the super discounted online price and Australia wide delivery options, please call us during business hours on (02) 6024 1464 or email us here. Rear Springs MITS-08E- this price is for a pair of rear springs. EFS Springs are made from high quality spring steel and provides the driver a more comfortable ride on road, along with increased control and ground clearance off road. Includes 3 year/100,000km warranty. To check the super discounted online price and Australia wide delivery options, please call us during business hours on (02) 6024 1464 or email us here. Rear Springs MITS-07E- this price is for a pair of rear springs. EFS Springs are made from high quality spring steel and provides the driver a more comfortable ride on road, along with increased control and ground clearance off road. Includes 3 year/100,000km warranty. Rear Springs NIS-17E- this price is for a pair of front springs. EFS Springs are made from high quality spring steel and provides the driver a more comfortable ride on road, along with increased control and ground clearance off road. Includes 3 year/100,000km warranty. To check the super discounted online price and Australia wide delivery options, please call us during business hours on (02) 6024 1464 or email us here. Toyota Rear Springs TLC24 - this price is for a pair of rear springs. EFS Springs are made from high quality spring steel and provides the driver a more comfortable ride on road, along with increased control and ground clearance off road. Includes 3 year/100,000km warranty. To check the super discounted online price and Australia wide delivery options, please call us during business hours on (02) 6024 1464 or email us here. Toyota Rear Springs TLC05 - this price is for a pair of rear springs. EFS Springs are made from high quality spring steel and provides the driver a more comfortable ride on road, along with increased control and ground clearance off road. Includes 3 year/100,000km warranty. To check the super discounted online price and Australia wide delivery options, please call us during business hours on (02) 6024 1464 or email us here. Toyota Rear Springs TLC03 - this price is for a pair of rear springs. EFS Springs are made from high quality spring steel and provides the driver a more comfortable ride on road, along with increased control and ground clearance off road. Includes 3 year/100,000km warranty. To check the super discounted online price and Australia wide delivery options, please call us during business hours on (02) 6024 1464 or email us here. Toyota Rear Springs TLC20-10 - this price is for a pair of rear springs. EFS Springs are made from high quality spring steel and provides the driver a more comfortable ride on road, along with increased control and ground clearance off road. Includes 3 year/100,000km warranty. To check the super discounted online price and Australia wide delivery options, please call us during business hours on (02) 6024 1464 or email us here.